I started hiking about 45 years ago. My first backpack was 40 years ago. I currently try to do one backpack trip of 1 to 5 nights every month (which can be tricky in the winter). Mostly I stay around Mount Hood, Columbia Gorge, Mount Adams, Goat Rocks, and the Olympic Peninsula. In recent years I have shifted to lightweight - my pack weight without food and water is about 15 lb (7 kg). 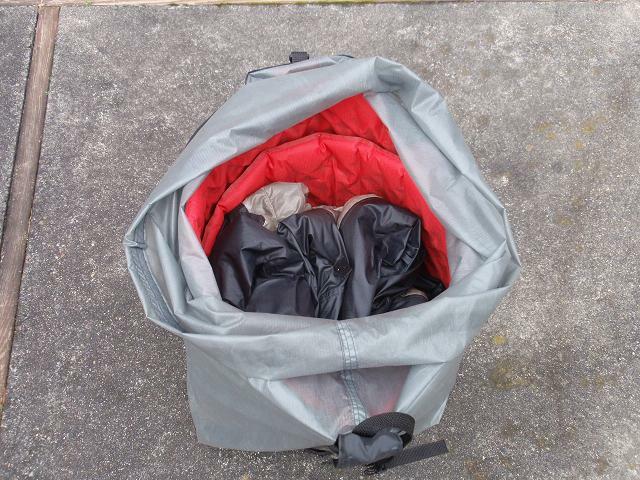 I make a lot of my own gear - silnylon tarp-tent, bivy, synthetic bag, simple bag style pack. After using it for a year and a half. If I had worked harder I probably could have gotten it a little smaller. The Prolite is a new product for 2009. It replaces the Prolite 3, which is no longer sold. The Prolite weighs 16 ounces (460 g) compared to the 20 ounce (567 g) weight of the Prolite 3. The standard for lightweightness is a closed cell foam mattress, of which there are several models that weigh 14 ounces (400 g). I have tried this, but I just can't get a good night's sleep because it's too firm. Previous to this new Prolite, the lightest air mattress has been 20 ounces (567 g) which is 6 ounces (170 g) heavier than closed cell, which is a significant weight savings if I'm really trying to minimize weight. The Prolite largely eliminates this dilemma, because it only weighs 2 ounces (56 g) more. The surface of the Prolite is totally waterproof, like plastic. It is fairly slippery. The surface has little bumps on it to make it less slippery. They're on a grid spaced at about 0.1 inch (2.5 mm). The bumps are about 0.02 inch (0.5 mm) diameter circles. The bumps are maybe 0.01 inch (0.25 mm) tall. I can see diamond shaped holes in the foam inside the mattress. The diamonds are about 0.6 inches (1.5 cm) wide, and spaced on a 1.1 inch (3 cm) diagonal grid. The Prolite self inflates. I found that it takes about 15 minutes to self inflate. Then I blow one or two breaths to fully inflate. I bought the Prolite March 2009. 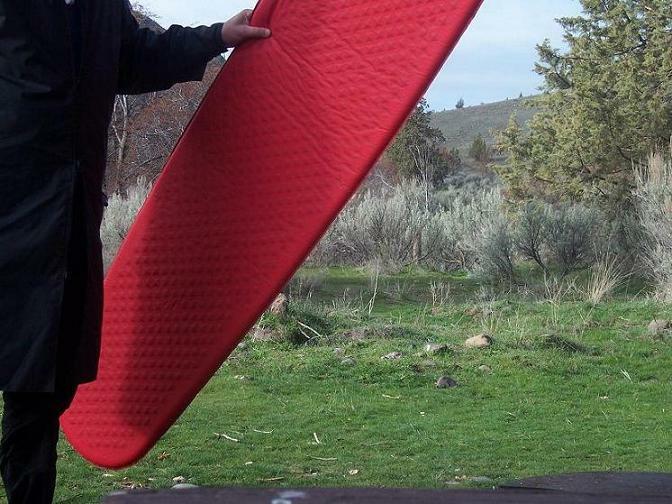 I've done about 20 backpack trips and 6 car camping trips using the mattress since then. Each trip was 5 or 6 nights, so I've slept on the mattress about 143 nights. This has been in Oregon and Washington, including numerous trips on or around Mount Hood, 2 trips around the Three Sisters, several trips to the Olympic Peninsula, a trip to the Goat Rocks, several trips on the Deschutes River, several trips on the Rogue River, two trips on the Metolius River, and a trip in the Mill Creek Wilderness. The 20 backpack trips ranged from about 20 miles to 50 miles (32 to 80 km). The elevation gain was from little to 10,000 feet (3000 m). On several trips the temperature got down to 20 F (-7 C). The warmest it got was maybe 75 F (24 C) at night. On all the backpack trips, I used the mattress loosely rolled inside my backpack, with all my other gear put inside the mattress. My backpack is just a thin nylon bag with shoulder straps. The mattress gives the pack some rigidity and shape. I slept directly on the mattress, inside my top bag, wearing clothes. I slept on a variety of surfaces - dirt, gravel, pine needles, and leaves. I always remove any sharp objects that might hurt the mattress and be uncomfortable, like rocks or sticks. There was always a layer of thin nylon (silnylon) between the mattress and the ground. The mattress has not developed any leaks. It remains inflated even after a couple nights. Comfort: I get a good night's sleep. Occasionally, I get a little uncomfortable where my shoulder or hip is against the ground, so I shift position a little. This is the same as other 1 inch mattresses I have used. I have tried closed cell foam mattresses before, but I don't get a good night's sleep. Thicker mattresses might be more comfortable, but ones I'm familiar with are more expensive, heavier, and/or aren't self inflating. Warmth: The Prolite was warm on all my trips. One night I slept directly on snow, but I used an additional closed cell foam pad underneath as the Therm-a-Rest people recommend. 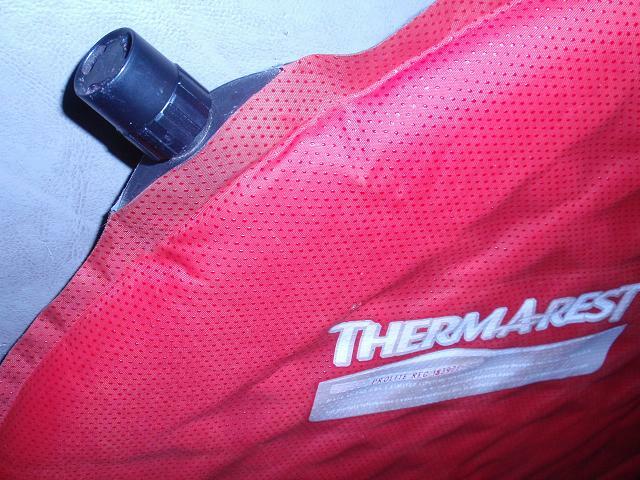 Of course, my sleeping bag and clothes had more to do with keeping warm than the mattress. Slipperiness: The Prolite is quite slippery. I use the Prolite inside my top bag, so it doesn't shift regardless of slipperiness. I sleep directly on the mattress, and I regularly roll over from side to side, so being slippery is an advantage. If I used my sleeping bag on top of the mattress as is typically done, I would be a little concerned that I'd slip off the mattress over the night. 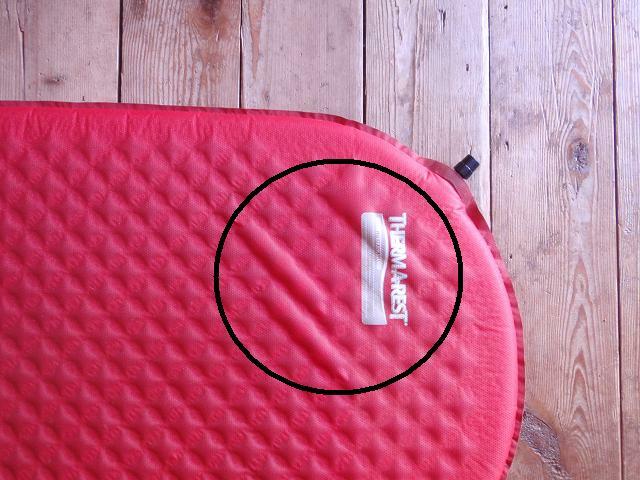 Waterproofness: My old self-inflating mattress absorbed water a little on its surface which was a minor annoyance. I would sometimes have to dry it off in the sun n the morning. The Prolite did not do this at all. Self inflation: The Prolite self inflated in about 15 minutes. Then, I do one or two breaths of air to inflate fully. If I inflated it fully when it was warm in the afternoon, when it was colder when I went to bed it was no longer firm so I had to do one more breath. It seems to self inflate now about the same as when I first bought it. 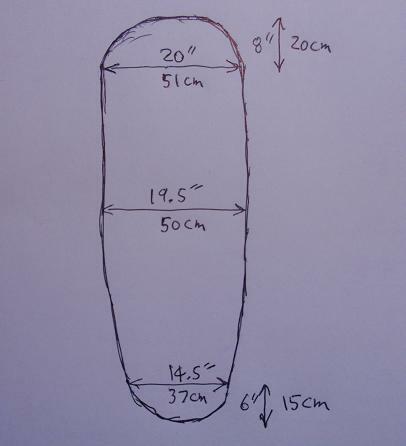 Stiffness: After the mattress self inflates, it is fairly rigid so I can pick it up with one hand. It doesn't flop around like my old mattress. This makes it easier to insert into my sleeping bag or set out to dry. Deflation: After releasing the valve, I just pick up the mattress, hold it up in the air, and roll it up loosely from the foot end and then smash down the loose roll. If I want to remove as much air as possible, I'll close the valve, unroll it, roll it up again, and then open the valve to let the small amount of remaining air. I really like the Prolite mattress. It offers a compromise between weight and comfort - slightly heavier but much more comfortable than the lightest mattresses. Thicker mattresses would be a little more comfortable but would weigh more and/or cost much more. It's held up well during my testing - about 143 nights. I do treat it fairly carefully but I have only thin nylon between the mattress and the ground. It has been warm enough down to 20 F (-7 C). Once when I slept on snow and 20 F (-7 C) it was warm, but I also used a closed cell foam pad. I like the surface of the mattress which has an almost plastic like feel instead of a fabric or foam feel that I have noticed on other mattresses. Since I posted the Owner Review I have some new information. I have used the Prolite another 36 nights of car camping and backpacking for a total of 180 nights. At this point it's totally cosmetic. I continued to use it another 11 nights and the delamination got slightly worse. So, the good thing is this isn't a catastrophic failure. If I just check it at the end of each trip, then I can get it fixed or replaced for the next trip. If it starts happening on a trip, the pad should be usable for the rest of the trip. Another problem I noticed is that there is a very slow leak. After a night's sleep, there's still enough air to keep me from bottoming out, but there's noticeably less air than the night before. Since I used the mattress a lot (180 nights) and it's so lightweight, I don't feel too bad about this failure. This is a good tradeoff between light weight and durability. The delamination occurred where I sometimes put my hand to hold up my weight as I get into bed. All my weight is on a small area, and I then have a bit of a twisting motion. I think if I didn't do this the delamination wouldn't occur, but it's just a guess. I read somewhere that Cascade Design will exchange a mattress with this problem. Since the store I bought it from offers a no-questions-asked guarantee, I just exchanged mine there. The new mattress looks just like the old one. It weighs the same (15.9 ounces 455 g). I used the new mattress on twockpacking tripsand it performs just like the old one.